St. Cecilia Music Center will feature one of the top jazz pianists in the world, Kenny Barron and his quintet on November 1, 2018, to celebrate their 135th anniversary season. The Kenny Barron Quintet will perform the second of four Jazz Series concerts in the 2018/2019 season. Call 616-459-2224 or visit the box office at 24 Ransom Ave. NE. St. Cecilia Music Center (SCMC) in Grand Rapids will feature one of the top jazz pianists in the world, Kenny Barron and his quintet on November 1, 2018, to celebrate their 135th anniversary season. The Kenny Barron Quintet will perform the second of four Jazz Series concerts in the 2018/2019 celebration season. Honored by The National Endowment for the Arts as a 2010 Jazz Master, Kenny Barron has earned eleven GRAMMY™ nods beginning in 1992 for Best Jazz Album with People Timean outstanding duet with Stan Getz, and most recently in 2017 for Best Jazz Instrumental Album. The Los Angeles Timeshas called Kenny Barron "one of the top jazz pianists in the world” and he was named Best Pianist in 2017 by the Jazz Journalists Association for a record seven times. This concert tour called Concentric Circles introduces his new quintet with three strong emerging players, tenor saxophonist Dayna Stephens, trumpeter Mike Rodriguez, drummer Johnathan Blake and a long-term Barron associate bassist Kiyoshi Kitagawa. Their style is sleek, modern mainstream jazz, a combination of post-bop, modal and Latin elements, of which Barron is among today’s reigning masters. The Kenny Barron Quintet released a new album called Concentric Circles in summer 2018 on the Blue Note label. Concert tickets for the Kenny Barron Quintet are $40 and $45 and can be purchased by calling St. Cecilia Music Center at 616-459-2224 or visiting the box office at 24 Ransom Ave. NE. Tickets can also be purchased online at www.scmc-online.org. A pre-concert reception with wine and hors d'oeuvresis available by reservation for $15 and begins at 6:30 pm. A post-concert party with dessert, coffee and wine is open to all ticket-holders to meet the artists and gain autographs and CD purchases. Young rising jazz singer Veronica Swift and the Benny Green Trio performing on March 7, 2019. Veronica Swift will launch her newest album for release in 2018 and the album will feature the great pianist Benny Green and his trio. At age 23, Veronica Swift is now being recognized around the country as one of the top young jazz singers on the scene. Benny Green, a veteran of the jazz world combines a mastery of keyboard technique with decades of real world experience playing with no one less than the most celebrated artists of the last half century. While still in high school. Kenny worked with drummer Philly Joe Jones and at age 19, he moved to New York City and freelanced with Roy Haynes, Lee Morgan and James Moody, after the tenor saxophonist heard him play at the Five Spot. Upon Moody’s recommendation Dizzy Gillespie hired Barron in 1962 without even hearing him play a note. It was in Dizzy’s band where Kenny developed an appreciation for Latin and Caribbean rhythms. After five years with Dizzy, Barron played with Freddie Hubbard, Stanley Turrentine, Milt Jackson, and Buddy Rich. The early seventies found Kenny working with Yusef Lateef who Kenny credits as a key influence in his art for improvisation. Encouraged by Lateef, to pursue a college education, Barron balanced touring with studies and earned his B.A. in Music from Empire State College. By 1973, Kenny joined the faculty at Rutgers University as professor of music. He held this tenure until 2000, mentoring many of today’s young talents including David Sanchez, Terence Blanchard and Regina Bell. In 1974 Kenny recorded his first album as a leader for the Muse label, entitled “Sunset to Dawn.” This was to be the first in over 40 recordings (and still counting!) as a leader. Following stints with Ron Carter in the late seventies Kenny formed a trio with Buster Williams and Ben Riley which also worked alongside Eddie Lockjaw” Davis, Eddie Harris, Sonny Stitt and Harry “Sweets” Edison. Throughout the 80’s Barron collaborated with the great tenor saxophonist Stan Getz, touring with his quartet and recording several legendary albums including “Anniversary”, “Serenity” and the Grammy nominated “People Time”. Also during the 80’s, he co-founded the quartet “Sphere,” along with Buster Williams, Ben Riley and Charlie Rouse. This band focused on the music of Thelonious Monk and original compositions inspired by him. Sphere recorded several outstanding projects for the Polygram label, among them “Four for All” and “Bird Songs.” After the death of Charlie Rouse, the band took a 15-year hiatus and reunited, replacing Rouse with alto saxophonist Gary Bartz. This reunion made its debut recording for Verve Records in 1998. 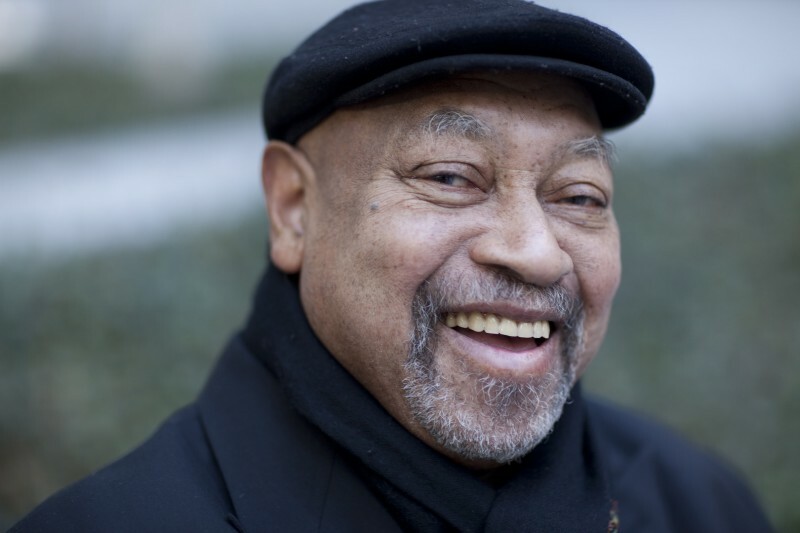 Kenny Barron’s own recordings for Verve have earned him nine Grammy nominations beginning in 1992 with “People Time” an outstanding duet with Stan Getz followed by the Brazilian influenced “Sambao and most recently for “Freefall” in 2002. Other Grammy nominations went to “Spirit Song”, “Night and the City” (a duet recording with Charlie Haden) and “Wanton Spirit” a trio recording with Roy Haynes and Haden. It is important to note that these three recordings each received double-Grammy nominations (for album and solo performance.) His CD, “Canta Brasil” (Universal France) linked Barron with Trio de Paz in a fest of original Brazilian jazz, and was named Critics Choice Top Ten CDs of 2003 by JazzIz Magazine. His 2004 release, Images (Universal France) was inspired by a suite originally commissioned by The Wharton Center at Michigan State University and features multi-Grammy nominated vibraphonist Stefon Harris. The long-awaited trio sequel featuring Ray Drummond and Ben Riley, The Perfect Set, Live at Bradley’s, Part Two (Universal France/Sunnyside) was released October 2005. In Spring 2008, Mr. Barron released The Traveler (Universal France), an intoxicating mix of favorite Barron tunes set to lyrics and newly penned compositions. For his first vocal based recording, Barron invited Grady Tate (who sheds his drumsticks for this special appearance), Tony award winner Ann Hampton Calloway and the young phenom Gretchen Parlato, winner of the Thelonious Monk International Competition for Jazz. Barron’s latest release in summer 2018, Concentric Circles, includes his new quintet with tenor saxophonist Dayna Stephens, trumpeter Mike Rodriguez, drummer Johnathan Blake and a long-term associate bassist Kiyoshi Kitagawa. Barron consistently wins the jazz critics and readers polls, including Downbeat, Jazz Times and Jazziz magazines. The famed Spanish ceramist Lladro honored Mr. Barron with a Lifetime Achievement Award in 2012 and he was awarded an Honorary Doctorate from his alma mater SUNY Empire State in 2013 and from Berklee College of Music in 2011. In 2009, he received the Living Legacy Award from Mid-Atlantic Arts Foundation and was inducted into the American Jazz Hall of Fame and won a MAC Lifetime Achievement Award in 2005. He is a six-time recipient of Best Pianist by the Jazz Journalists Association. More about Kenny Barron can be found on his website at kennybarron.com.